I have too many rocks. So I've been doing my best lately to not acquire any more, at least until I significantly decrease the inventory. The fall Studio Tour is this week-end, and I'm hoping that will help me clear the shelves of a few . . . chunks. Today a friend called and said he had some rocks I might find interesting. He has brought me some cool stuff in the past, never wants any money for it -- though sometimes I force him to take something. He was on his way to somewhere else and I was too busy to engage in much conversation, so he said he'd just drop off what he called "a large coffee can" with some rocks. I figured they were more of the interesting but not very valuable river rocks that he picks up here and there, or maybe some petrified wood. He has brought me some very nice pieces of wood in the past. A couple hours later I had a chance to get out to the front gate where he said he'd leave the coffee can. The rocks didn't look like much, but to be honest, I had forgot to put on my sunglasses and the sun was so bright I really had to squint. The contents of the can consisted of about a dozen chunks of very dirty rocks that had some shiny sections that might be kind of like crystals, maybe. When I got them to the studio, I took out a squirt bottle and sprayed a couple of them with water. The shiny parts are purple. 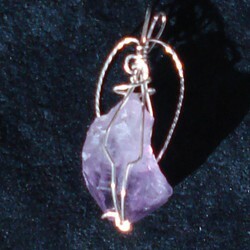 The crystals are amethysts. They're not "gem quality," but they're still amethyst. I don't know where they're from. 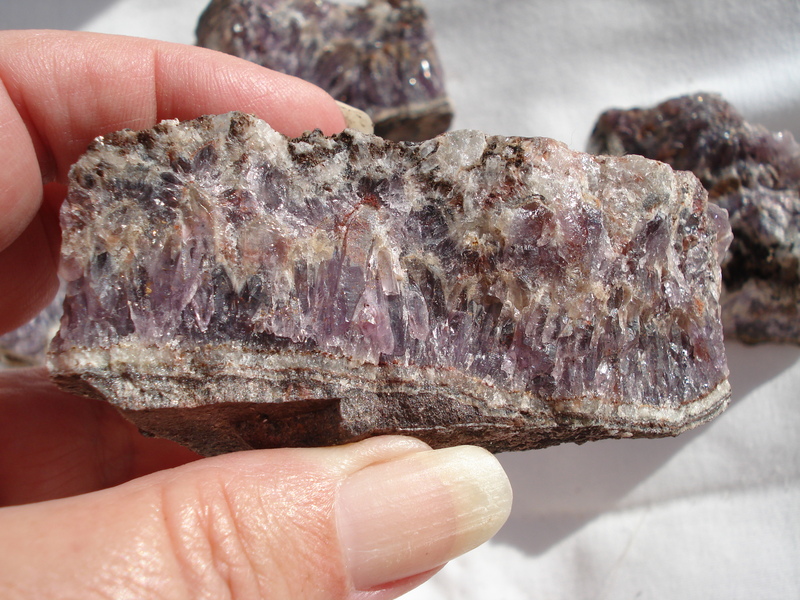 They may be from somewhere in Arizona -- we have several locations that produce amethysts -- or from somewhere else. 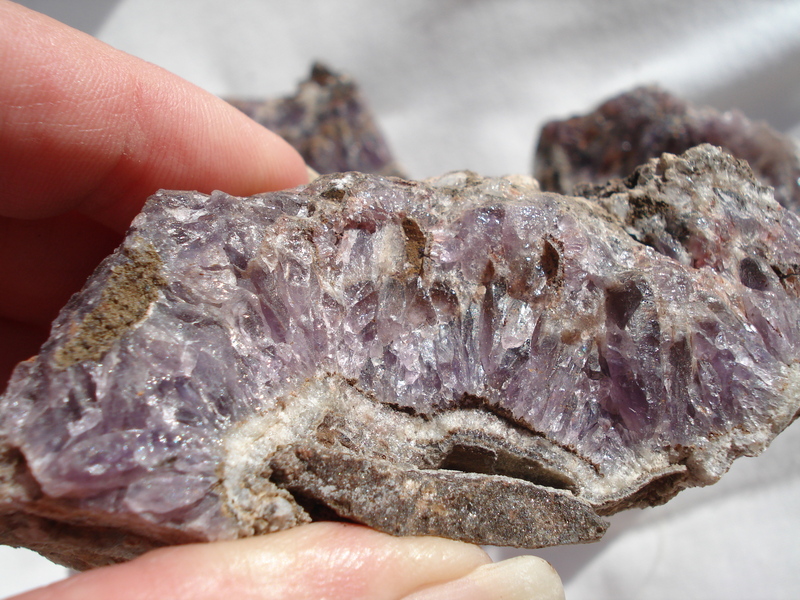 I don't think they're from the Four Peaks area, where the commercial amethyst mine is, but they could be. I don't know when they were collected. I don't know if my friend picked them up himself or he just sort of found them. I know he's out of cell phone range for the rest of the day, but I will definitely be contacting him tomorrow morning for more information!